Dyson canister vacuum cleaners are powerful and very good for hard floors. 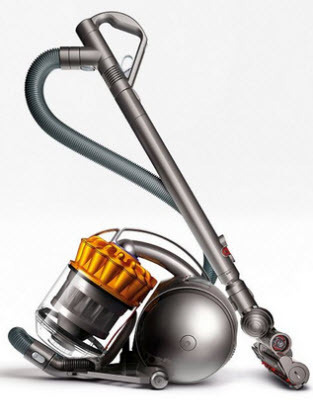 The full-size canisters have Dyson’s leading cyclone technology for capturing microscopic dust. Cleaner heads are engineered for high dirt removal on different floor types – short or deep pile carpets, wood and hard floors. Dyson canisters are versatile. Because the floor tools attach to the end of the wand, they’re easy to maneuver and can reach beneath furniture to remove dust and dirt. Accessories can be fitted to the wand or hose to clean other areas such as mattresses, upholstery and inside the car. Some machines also sit on stairs – there’s no need to carry them while you clean. The following section shows the top canister vacuum models by Dyson that are currently available in the market. If you are curious, here are the best seller canister vac lists at Amazon.com. Each of the Dyson vacuum cleaners below has slightly different features to cater the different user needs. 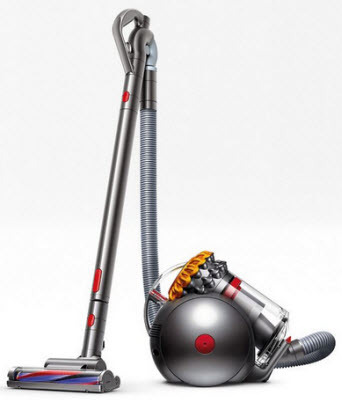 There is a newer model called Dyson Cinetic Big Ball Animal Canister Vacuum that featured the latest Dyson technology. We will add to the product line once we review the product. This vacuum was in the market with the new features such as self-rights when toppled, and you can empty the dust bin hygienically. The sweeper is easy to operate, and it does a great job. It’s very suitable for a house with mainly hardwood floors but not the best product for thick carpet and rugs. Powerful suction and access to hard-to-reach areas with the wand. Two-tier Radial Cyclones to effectively remove the dust and allergens. Carbon fiber turbine tool can help you in removing the dirt and dust from hard floors as well as carpets. Control or change the suction power at the handle; you even can turn the unit off and retract the cord with your foot. It has clear, and high capacity dust bin let you easily see the debris and dust has been collected. It also has marking when to empty the bin (eliminate the need of having empty the bin often). The main hose can be lengthen or shorten it to suit your height or cleaning needs. The articulating wand handle allows you to rotate 360° which is another plus point for this sweeper. A simple clip-on sleeve holds all the attachments on the wand, store them nicely. A 21-foot long power cord and it come with the retractable feature which is really nice when wrapping the cord. You can read the full review of this canister vac by our editor. 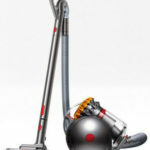 >> Check out the latest price of Dyson Big Ball model at Amazon.com Now! This is another ‘OK’ vacuum from Dyson. It’s more suitable for those houses with bare floors and less carpet, especially thick carpet. The unit is not small and not for light cleaning. But if you had a house that was mostly carpet, then the upright vac maybe more suitable for you. Good performance – quiet, constant 275 air watts powerful suction & high dust removal. No bag and it come with washable lifetime filters, so no extra costs needed. It uses the latest Radial Root Cyclone Technology that does not rely on a bag to trap dirt and dust. They have cyclone technology that spins air at extremely high speeds thus maximize suction power. Uses ball technology to get rid of fixed wheels; thus you can move the canister easier. Convenient – Large bin capacity (don’t have to empty it often) and push a button to release the dirt. Triggerhead Tool – bending down is not required when cleaning areas below furniture. Just control it by using the fingertip control switch. The power cord is 21.3 feet long, and vacuum maximum reach is 32.8 feet (with hose and wand). Several extra tools to make cleaning easier. 5-year product warranty (parts and labor) and a lifetime of support. For more info of Dyson Ball multi floor canister vacuum, read our review here. >> More customer reviews, ratings and get the great deal of it is available at Amazon.com. This vacuum work on hard floors but again is not very suitable for carpet. This is smaller and lighter than the earlier model, results in a shorter power cord and bin capacity make it inconvenient for some users. Lighter in weight compare to DC39 Animal/multi floor, engineered for pet hair pick-up. Dyson’s latest 2 Tier Radial cyclones technology to extract more dust from the airflow and hence result in consistent suction. It uses Ball technology to overcome the steering limitations of fixed wheels and castors. The carbon fiber brush bar has both nylon bristles and brushes made from pure carbon fiber to increase the vacuum efficiency in hard floors as well as carpets. The Triggerhead Tool make the cleaning easier as bending down is not required when cleaning areas below furniture. It uses HEPA filtration so can capture almost all the dust and allergens. The power cord is 16.4 feet long, vacuum maximum reach is 27.3 feet (with hose and wand). The cord is shorter than DC39 Animal. Cord rewind feature is available. 5-year parts & labor warranty. To read the review or get the best deal of Dyson Ball Compact Animal, visit this link. 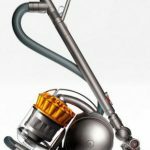 Dyson offers a large range of vacuum cleaners to choose from, and it can be overwhelming to consider all of the options and narrow them down to the best Dyson canister vacuum that’s right for you. It isn’t a matter of which Dyson canister vac is better than others but, rather, which Dyson model is best suited for each person’s individual needs. This Dyson vacuum cleaner buying guide is here to help you select the best Dyson vacuum for your needs. Multi Floor, Animal or Musclehead? Each of the Dyson models offers its own features and advantages. All Dyson vacuums are excellent for multi floor use, and some of them are especially good for dealing with pet hair. They come compact and full-size, and as either canister or upright models, and even as digital slim stick vacuums. While you can discover all of the different options in depth on the individual product pages, and some of the popular models were available in the section above, it can be helpful to review the features that all Dyson canister vacuums share in common. Aspired by many people for their homes, the Dyson vacuum brand is popular for its modern and technologically advanced designs that are not only fascinating, but develop new standards in the ease of use provided by vacuum cleaners. This brand is most popular for light-weight, bagless, upright and canister vacuum cleaners. It makes use of patented Cyclone Technology to separate dirt and dust efficiently. Dyson’s very own Ball Technology also provides excellent maneuverability. Their pet vacuums are one of the best in the market. All Dyson vacuums come with high-quality HEPA filters. All Dyson canister vacuums have no loss of suction and hygienic bin emptying. They also have different cleaner heads engineered for different floor types. These cleaners come with warranties of 2 to 5 years. Dyson vacuums are more expensive and can cost $300 to $700. Following are some of the features that you can find on Dyson cleaners. All Dyson vacuum cleaners have patented Cyclone Technology. It can capture more dirt and microscopic dust from the airflow, and hence there’s no loss of suction. In other words, the dust and dirt are spun from the air with constant powerful suction that does not diminish with use. Why Dyson Vacuums Don’t Lose Suction? Dyson’s patented Root Cyclone technology doesn’t rely on a bag. Instead, it spins the air so fast that centrifugal forces up to 100,000 times the force of gravity fling dust and dirt out of the air and straight into the clear bin. And that includes the fine dust that clogs the filters in ordinary bagless vacuums. How Dyson Root Cyclone Technology Works? First, dust is drawn into a powerful cyclone. Centrifugal forces of 500 G fling larger dirt, debris, fibers, and pet hairs into the clear bin. The air passes through here, while fibers and pet hairs that have escaped the outer cyclone are sieved out and directed back into the bin. Finally, a cluster of smaller, faster cyclones generate centrifugal forces of up to 100,000G – extracting particles as small as mold and bacteria. Dyson Ball technology is a new way to steer. This technology can overcome the steering limitations of fixed wheels and castors. Dyson Ball vacuum cleaners ride on a ball, which pivots around itself so you can instantly change direction, turning on a dime. Dyson vacuums ride on a ball instead, so they turn on a dime – no more back and forth around corners and obstacles. Inside the ball is the motor, giving the machine a lower center of gravity and improving maneuverability even further. 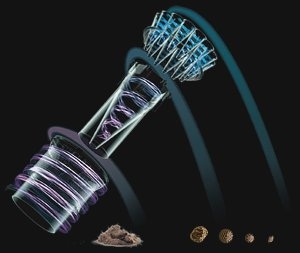 How Dyson Ball Technology Works? 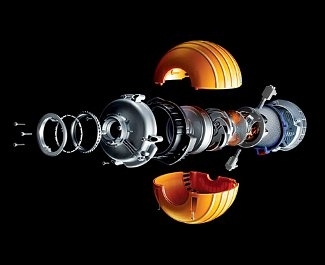 Dyson engineers mounted the heaviest part of the machine–the motor–inside the ball. The motor’s center of gravity is located at a neutral point where the weight can’t impair maneuverability. The ball itself is made from glass-reinforced polypropylene. The same material used in car dashboards, it combines high impact strength with resistance to distortion. 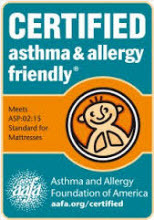 Most Dyson canister vacuum cleaners are certified asthma & allergy friendly™ by the Asthma and Allergy Foundation of America. This is because of the highly efficient allergen and dust removal and pet hair pickup to expel the cleaner air. Hence, the Dyson cleaners are very suitable for people with asthma and allergies. Dyson canister vacuums are bagless. Other vacuums may have bags or filters which cause suction loss. They can also be unhygienic to change. 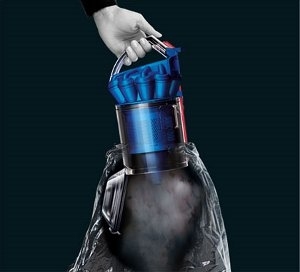 With a Dyson vacuum, there are no dusty vacuum bags to handle. The clear bin on the latest Dyson canisters empties at the push of a button. It minimizes the risk of contact with dirt. All the Dyson vacuums have a lifetime HEPA (High Efficiency Particulate Air) filter, which is what hospitals and other delicate environments use to ensure extremely clean air is available to its inhabitants especially for asthma, emphysema, and other respiratory conditions sufferers. 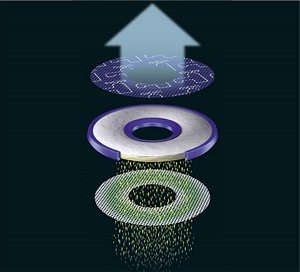 The HEPA filter in a Dyson vacuum traps microscopic particles. These include common household allergens such as pollen, mold spores, and dust mite feces. There’s no need to buy replacement filters. Just give it a rinse every three months with cold water. Note: The latest Dyson cinetic big ball vacuum got no filter to wash or replace. Dyson uses only the finest quality materials and workmanship to produce the highest quality vacuums. All Dyson cleaners also come with a five year warranty and lifetime support. Another excellent feature is the Dyson cleaner heads, which are designed for efficient large removal of debris and pet hair in different types of floors – short or deep pile carpets, wood and other hard floors. The turbine head brush bar works best on medium and short pile carpets, although the brush bar can be turned off when vacuuming hard floors or more sensible surfaces. The turbine head mechanism operates by a brush bar, which is a cylindrical and has hard bristles attached to it. Air suction then causes the bar to spin at around 80 RPM. The cleverly engineered helicoidal placement of the bristles picks up large amounts of dirt and animal hair. The brush bar is available as a spare, like many of Dyson parts. This is a similar design as the turbine head, except that the power to spin the brush bar is supplied by an independent motor, allowing all the suction power to be dedicated to particle pick up. This tool is suited for ceramic or wooden floors as well as delicate surfaces. It has been specially designed to get into difficult and tight spaces with a minimum of effort due to its high maneuverability. This feature of the Dyson canister vacuums is optimized for removing fine dust and reducing static electricity build up in the floor, especially hard floors. The fibers are made from conductive ultra-fine carbon strands, specially designed for their durability and anti-static characteristics. It is good for fine dust removal on every floor type. With this tool, you can pick up the dirt and pet hair easily on stairs. Also read: Top 5 vacuums for stairs cleaning. To conclude, the Dyson range of vacuum cleaners is great for cleaning home and/or office. The continuous improvement of the new technology makes the Dyson canister vacuum among the top cleaners in the industry. Lightweight and superb maneuverability take nearly all of the work out of vacuuming. Imagine finishing your cleaning chores with better than ever results, and still having plenty of time and energy for the things you would really rather be doing. Dyson Ball Multi Floor Review – Is it Worth the Price Tag?